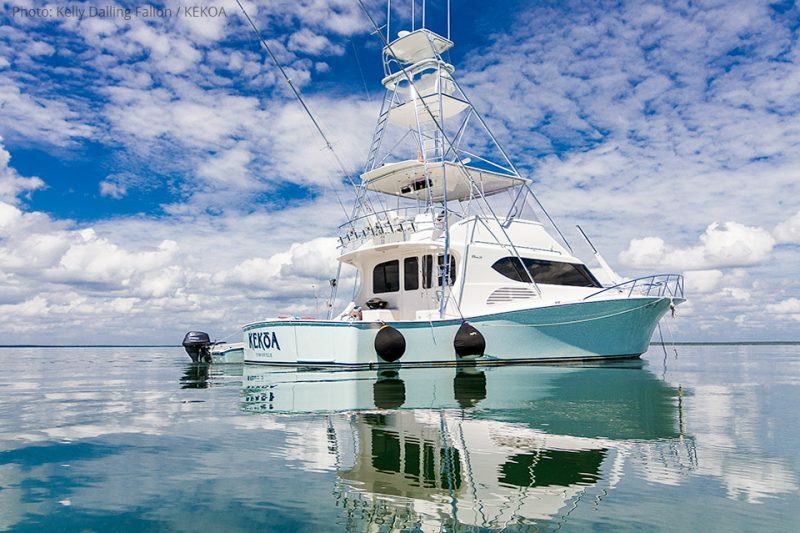 We are taking a hiatus from our Gulf Barra trips in 2019 and fishing the Fraser Island area instead. 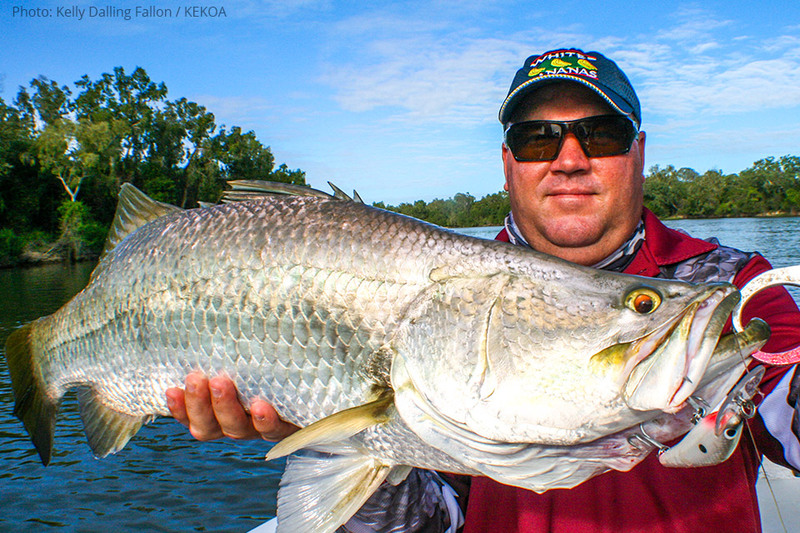 Weipa and its surrounds are known for some of the best barramundi country in Queensland. 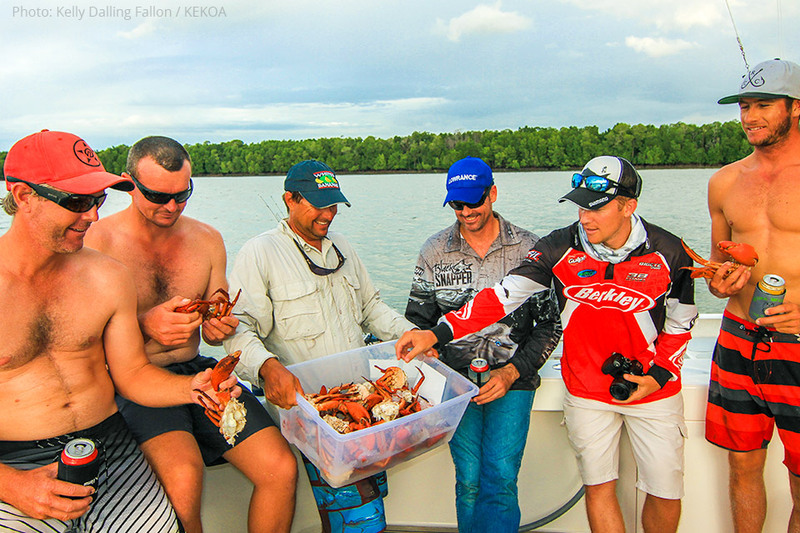 Weipa has been KEKOA’s launching pad into the more remote areas of the Gulf of Carpentaria for the past 9 years as we fish the ‘run off’ between late March and June each year. 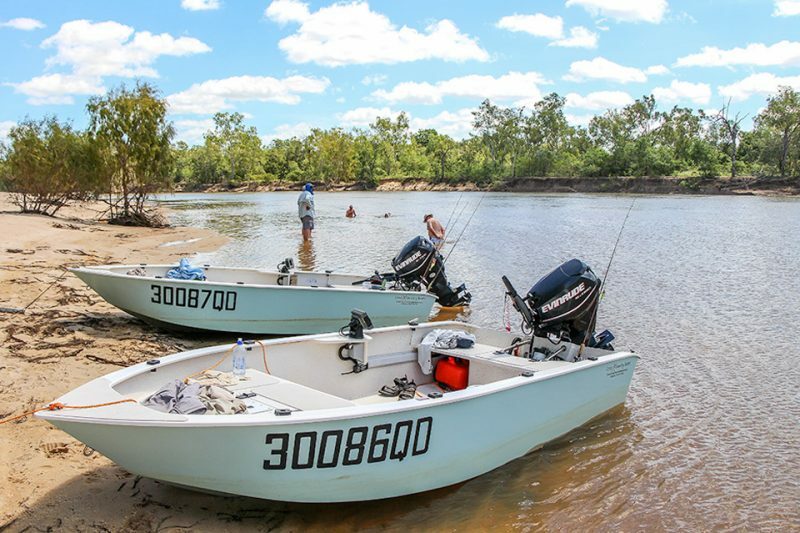 Although we can travel as far north as the McDonald, Jackson and Skardon rivers and the Kendall and Holroyd Rivers to the south, we most regularly fish the mighty Wenlock and Ducie Rivers near Mapoon and Port Musgrave, as well as the Archer River at Aurukun. 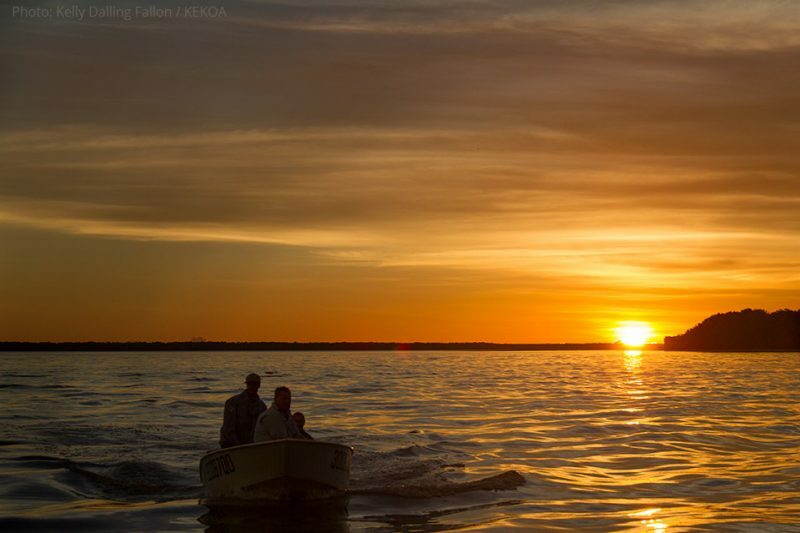 This time of year, coming after the wet, is a truly magical time to fish this region and the height of the Gulf barra season. And the weather is mostly perfect. The nearby reefs and shoals are an amazing light tackle sport fishery, home to tuna, mackerel, queenfish and large mouth nannygai and fingermark. 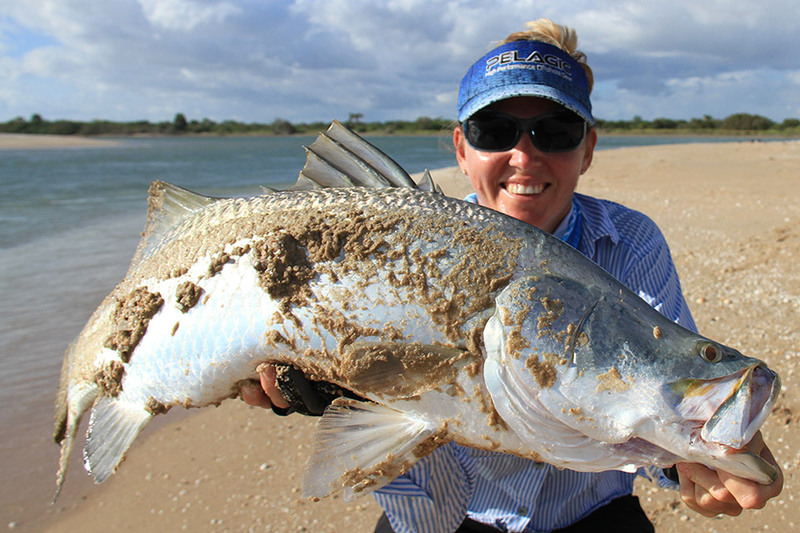 Walk the beaches targeting golden and giant trevally and the elusive Permit. The sailfishing potential is exponential! Our trips are five days live aboard with guests fly-in, fly-out from Weipa – only a one hour flight from Cairns. 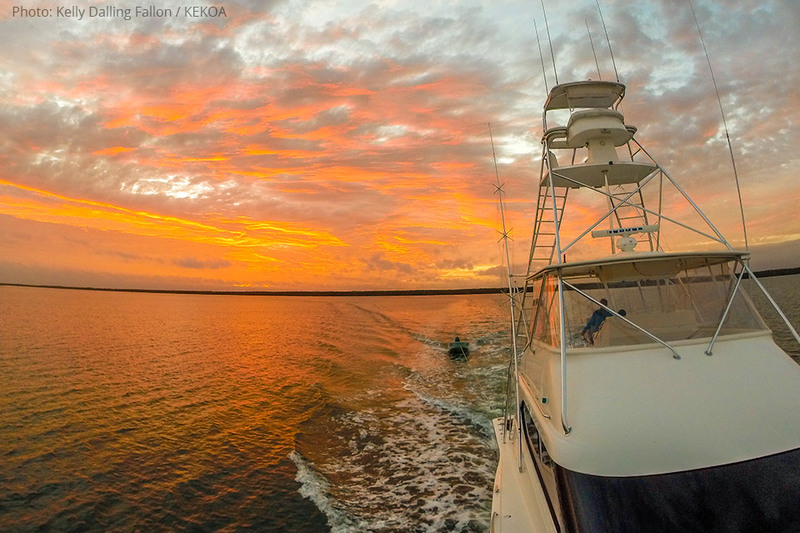 Arrive on board in the afternoon for an evening departure which puts you on the best spot for a start to fishing the very first morning. We can also arrange car transfers to the river according to the location that we are fishing. 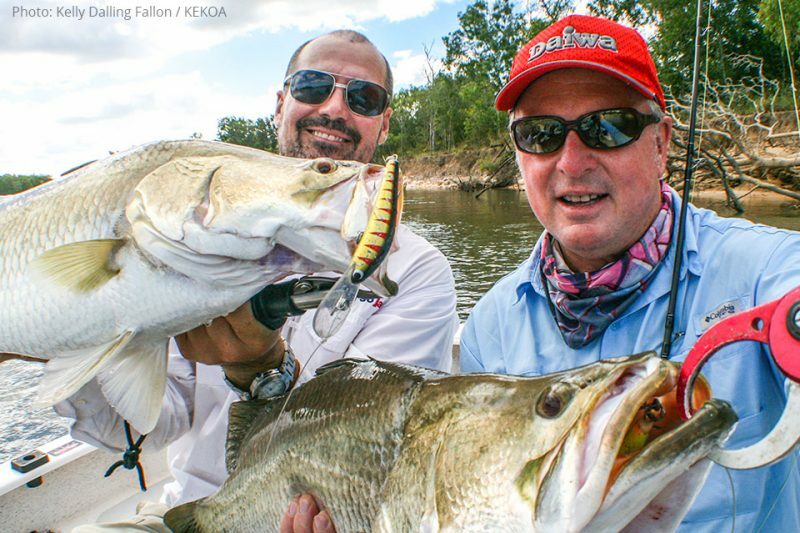 Visit our fishing report archives to read the weekly reports over the years. Your trip won’t come soon enough once you do! 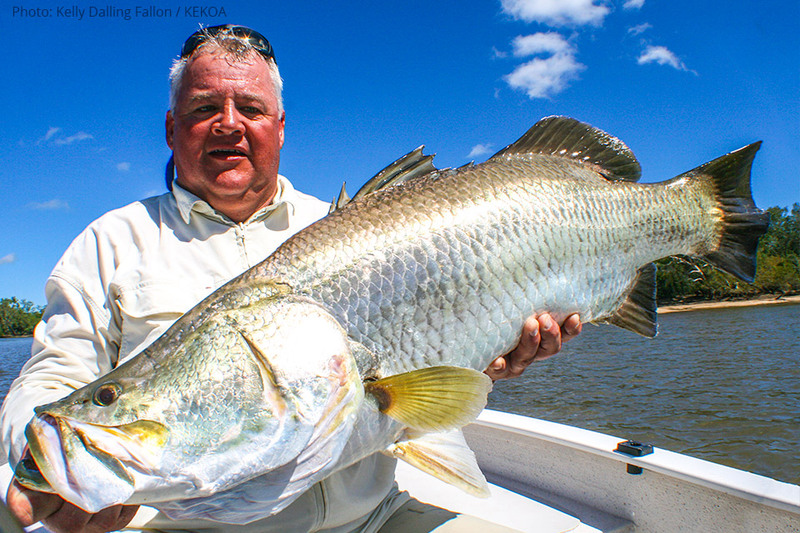 Take advantage of our vast knowledge of these remote Gulf river systems. Capt. Luke and KEKOA know these river systems and have logged well over 400 days on these waterways over the past several seasons alone. 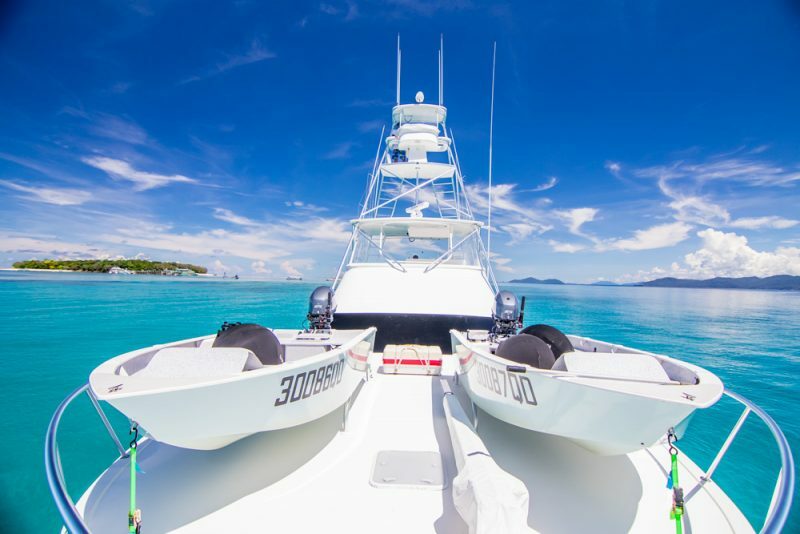 Luke, in addition to being a well-known and respected captain and member of the Cairns Giant Black Marlin fleet, has been barramundi fishing and guiding since he was a teenager. 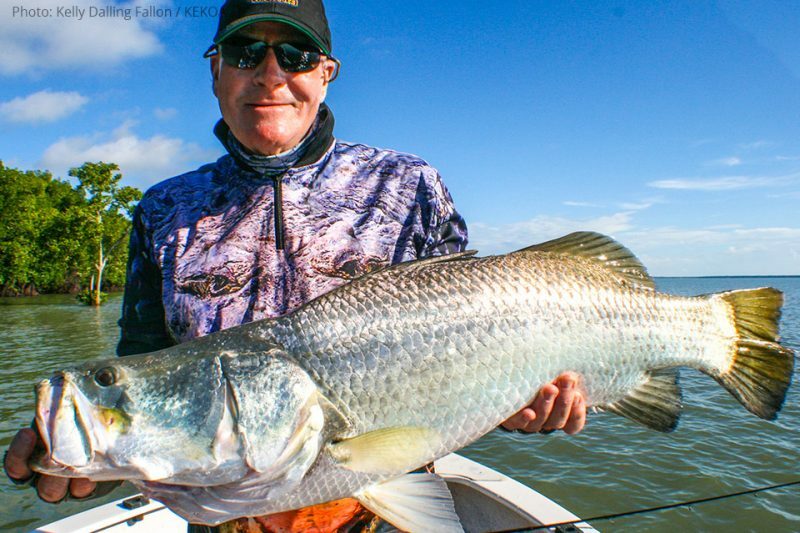 He operated as Luke Fallon Sport Fishing Charters in the 1990’s targeting barra in his hometown of Townsville and along the east coast of North Queensland before bringing KEKOA to pursue the potential of the vastly un-fished regions of the western coast in the Gulf for the first time in 2010. 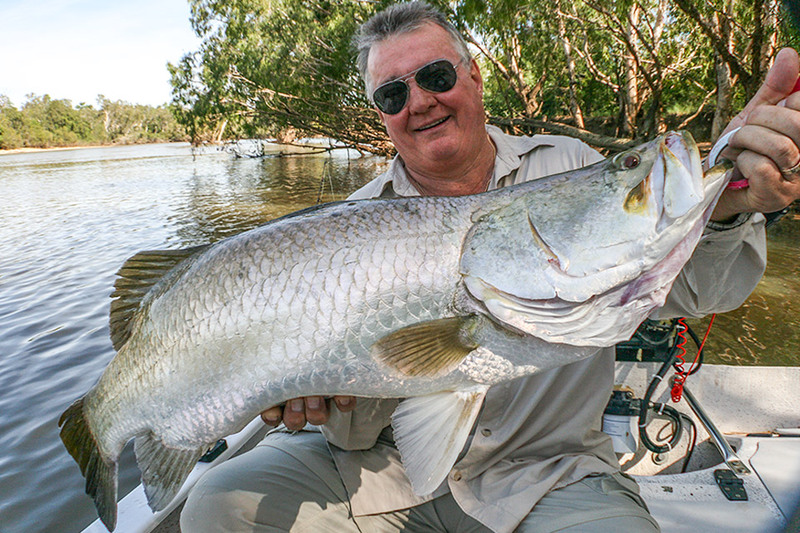 With eight seasons in these rivers now already under his belt, the fishing continues to get better and better with the teams ongoing intimate knowledge of each waterway. 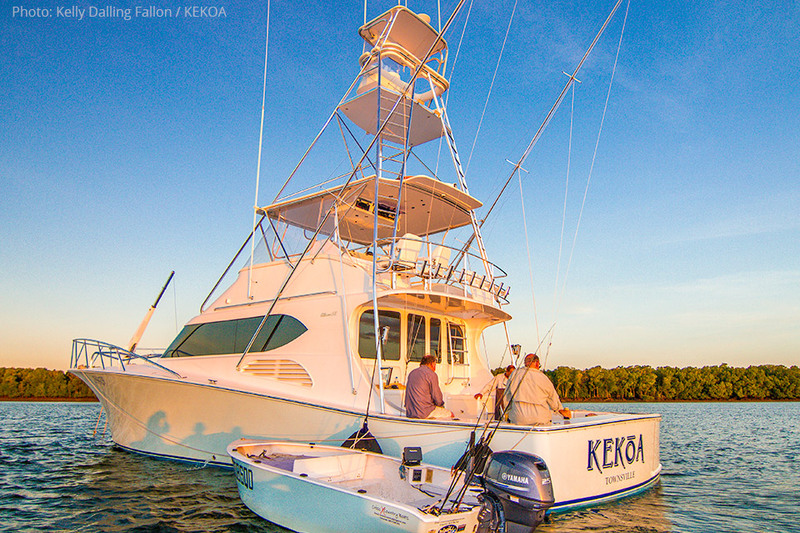 Luke was also heavily involved in the build of KEKOA which was completed and launched in March of 2010, in time for our first gulf season. 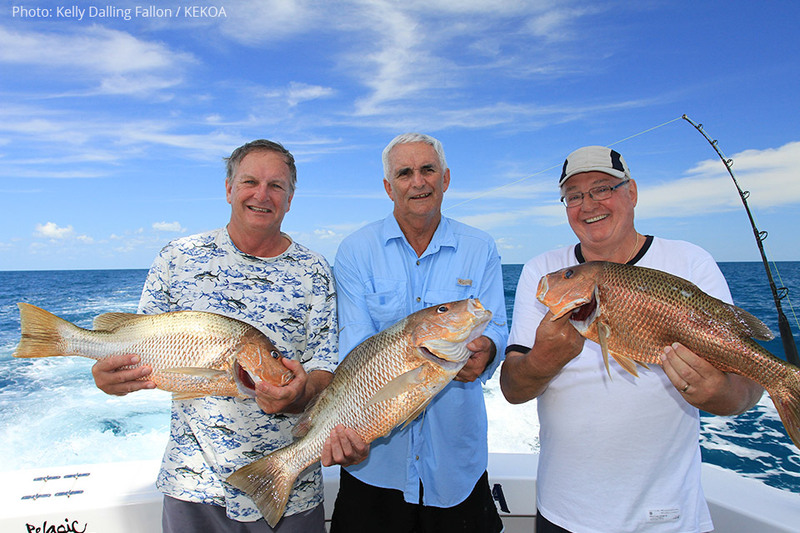 And the boat was built with these type of long-range trips in mind and the larger vessel provides extreme comfort in these remote destinations bringing this exciting fishery within easy reach of KEKOA’s valued clients. 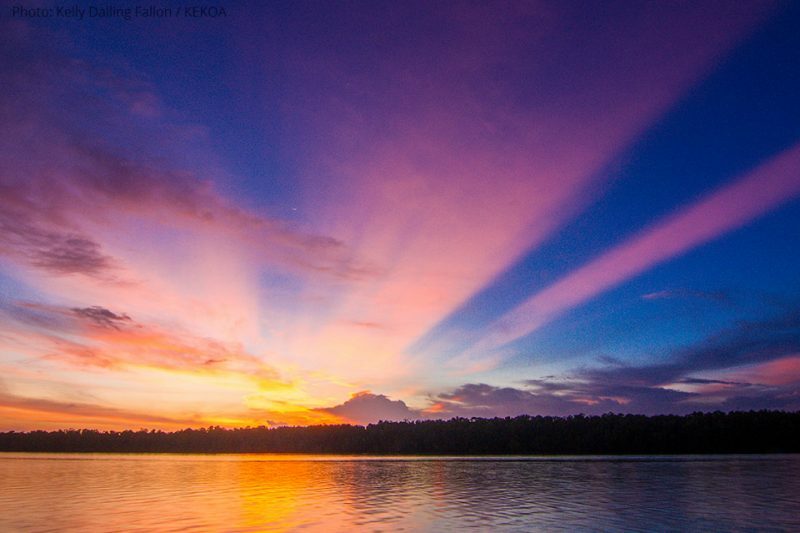 KEKOA provides for our guests as a fully air-conditioned luxurious and comfortable mothership. Our anglers can enjoy some spectacular feasts at the end of busy day’s fishing as well as plenty of delicious surprises in the lunchbox during the day. The barra fishing is from two 4 metre fibreglass CrossXCountry tenders. 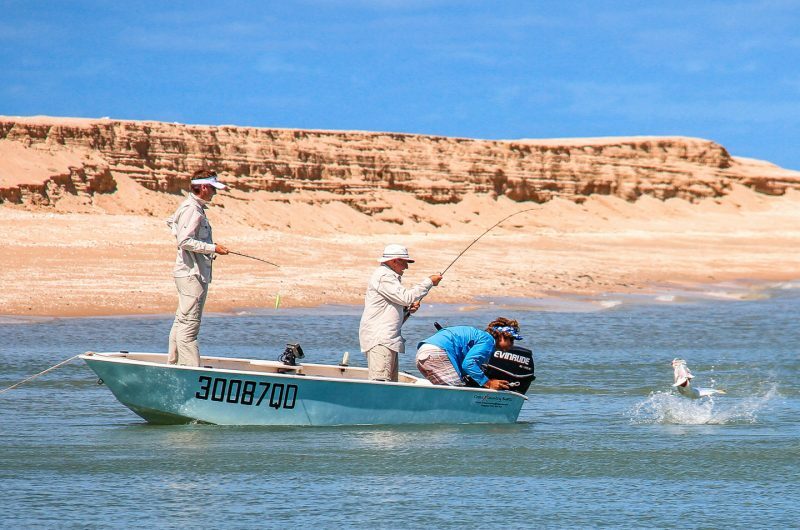 These boats are great casting platforms and the shallow draft allows us to fish the shallow flats others can only dream of accesssing! 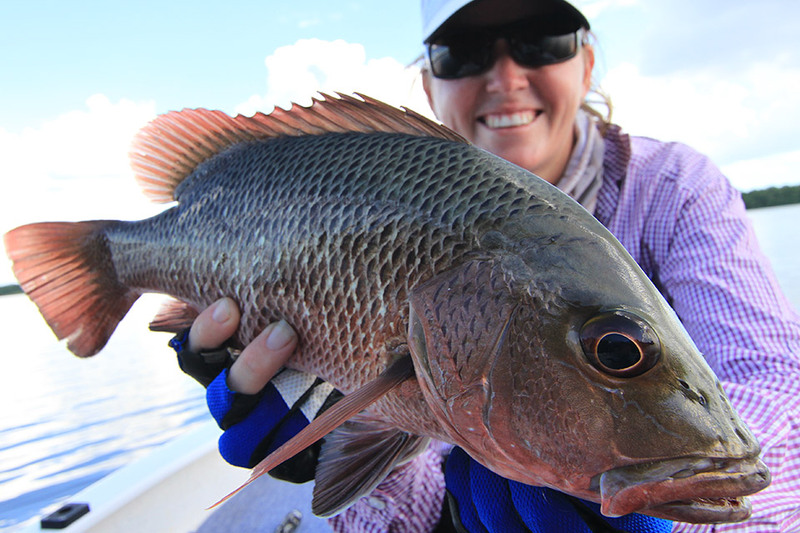 All trips are a maximum of 4 anglers as groups or on a per person basis (each trip is 5 days fishing).